For the first time in 40 years, my beloved Golden State Warriors are NBA champions! While I might attribute this to my lucky socks and pregame ritual, many pundits credit their teamwork. And specifically, their league leading record of assists per game. 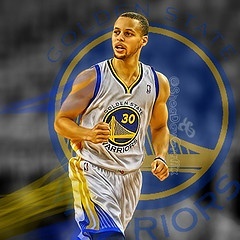 "The face of the franchise was Stephen Curry, a point guard who was voted the league’s Most Valuable Player …. a highly aware passer and playmaker (he finished 4th in assists)"
Just like in basketball, sales requires a team effort to win. I've rarely seem a sales teams make the number by relying on one or two reps (who hit it out of the park). Only by elevating the performance of the majority can the team reach its goal. Share what's working and what isn't. Talk about wins and losses and the details surrounding the deal. Make it a learning experience. Huddle on strategic opportunities or competitive situations. A “team brain” is better than a single brain in these situations. You as the manager can point reps to a peer, "I remember Kathy had a deal like that. We should ask her how she handled it." Or you can use Chatter or other collaboration tools. Use a “buddy system” for new hires. Create a mentor program. Get people used to the team concept right from the get go. The Sales Rep at the top of the leaderboard is always getting recognized, but what about the SDRs or Pre-Sales Engineer who got them there. Everyone likes to be recognized. At the end of the month (or quarter) have the team select an MVP from outside the group. Spiffs don’t have to be money, it could be a team “outing” or event, a trophy, a team shirt, a day off or whatever else motivates your team. Earmark a small portion of incentive comp for hitting the team quota. Not enough to be onerous but enough that, when earned, it is a fun fact to celebrate. The best part about rooting for your home team (besides the beer) is the camaraderie with fellow fans. The same logic applies in selling. A team approach fosters positivity and competitive drive. Now, let’s hope we don’t have to wait another 40 years for a Warrior win. Have you added a team emphasis to your sales organization? What results have you seen?